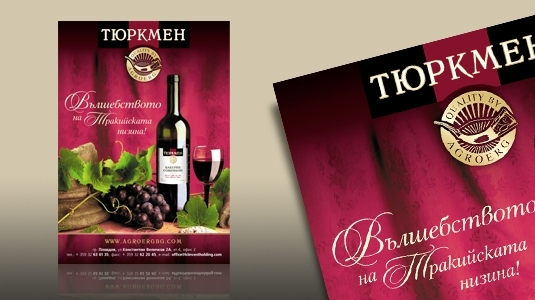 Tyurkmen is a trade mark of wines produced by Agro ERG EOOD Company. “Merlot”, “Cabernet Sauvignon” and “Cabernet Sauvignon and Merlot” are the first wines, produced in 2008. They are marked by saturated ruby-colored, rich fragrance, soft and rich flavored. The company has ambitions to develop the offered assortment of wine and high alcoholic beverages through the following years.